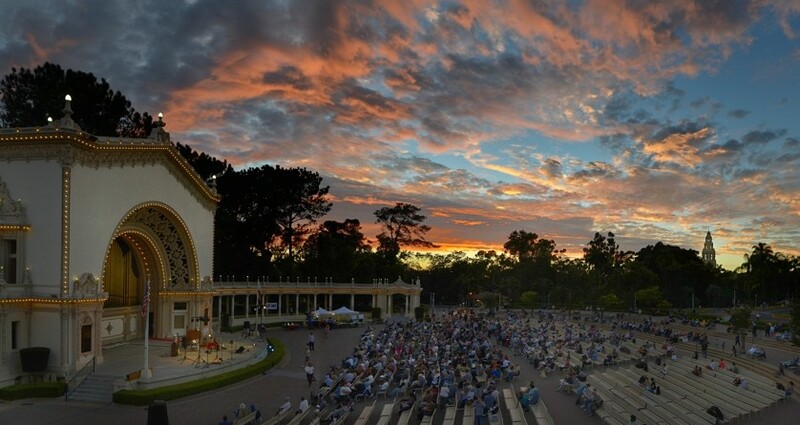 A concert performed by Dr. Carol Williams – San Diego Civic Organist with Annelle K. Gregory, Violin. All photos by Bob Lang. The featured guest artist this afternoon is violinist Annelle K. Gregory. It’s not unusual to see photographers with lots of gear at work in the colonnades. The black apron is an interesting touch. Some folks can’t resist stretching out on a hard, unbending metal bench. Another beautiful San Diego Sunday afternoon. Tourists photograph concert regulars Taylor, Katy and Ryder, the sunglassed and sunshaded poodles. Annelle is a remarkable young violinist. Visit her website: http://www.annelleviolin.com. Carol Williams and Annelle K. Gregory. A lighter moment. As the reader may have suspected, Annelle was kind enough to pose before and after the concert. This Sunday the San Diego Dachshund Club is bringing their finest four-footed friends to share the joy of music at the 2 p.m. Concert. Welcoming the Dachshund Club of San Diego! CHRISTMAS SHOPPING AT THE ORGAN PAVILION! 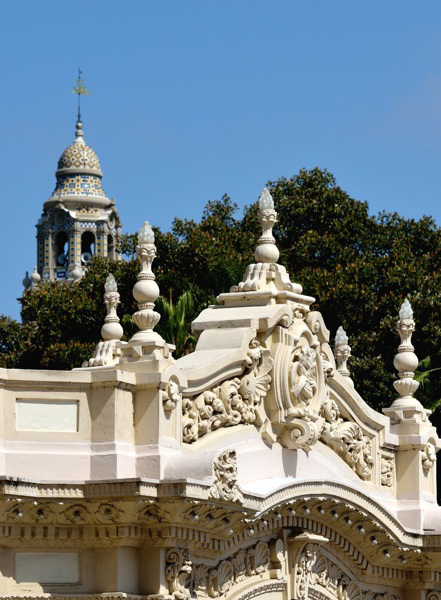 located in the West Colonnade of the Organ Pavilion. 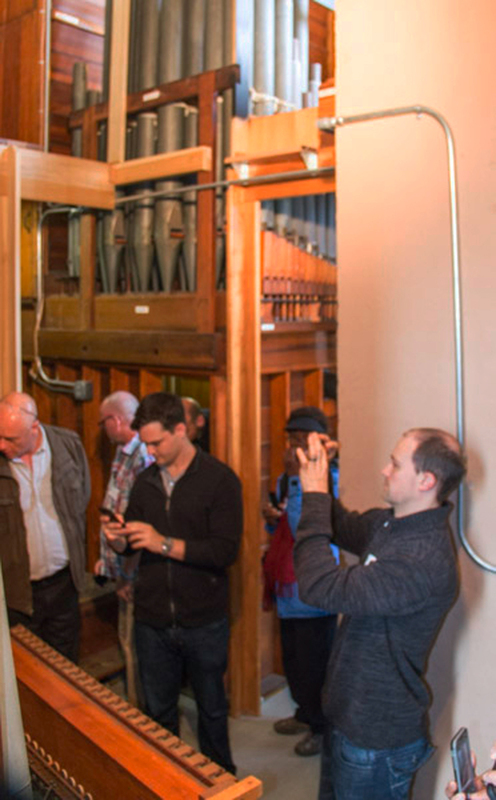 JARED JACOBSEN was the fifth in the unbroken chain of Civic Organists of the City of San Diego, playing weekly concerts on the Spreckels Organ from 1978 through 1985. (Dr. Carol Williams, our incumbent, is the seventh.) Currently he serves as Director of Music for First Lutheran Church in downtown San Diego and is a member of the performing arts faculty of the Bishop’s School in La Jolla. During the summers he is Organist and Coordinator of Worship and Sacred Music for the historic Chautauqua Institution in New York State, where he presides over the 105-year-old Massey Memorial Organ of four manuals and ninety-three ranks, located in the six-thousand-seat, open-air wooden Amphitheater which is the centerpiece of Chautauqua’s programming. Download our newsletter from Winter 2012.